Made in the Midlands are delighted to announce that we raised £750 for Save the Children in celebration of Christmas Jumper Day. The money was collectively raised at our Christmas drinks celebration at Hotel Du Vin, Birmingham. At the event, we hosted a charity raffle in association with Threeway Pressings, who regularly complete charity work alongside cancer charities throughout the year. Threeway announced that they would donate a Bullbarrow full of alcohol to the eventual winner of the raffle. 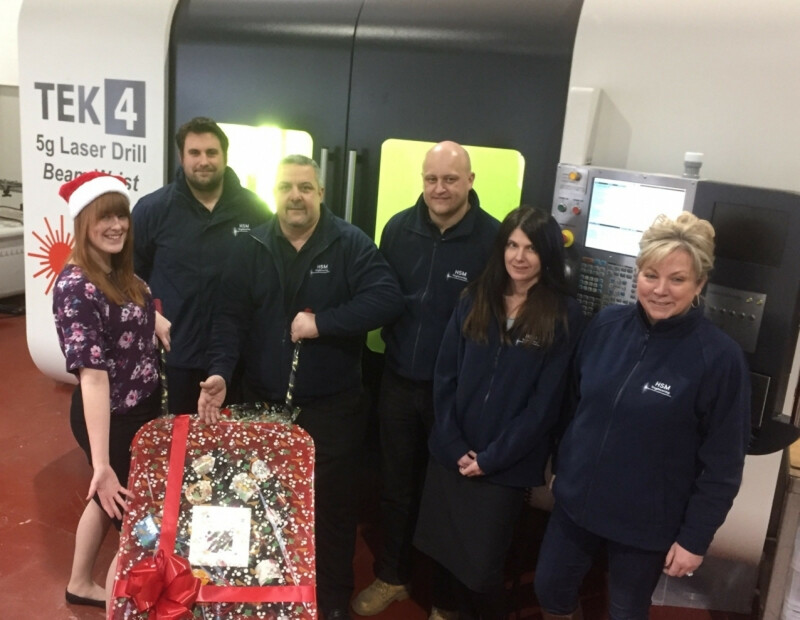 The winner of the raffle was declared as the Managing Director of Hucknall Sheetmetal, Jason Thorpe. Hucknall are a first tier supplier to the Aerospace Industries and also supply into the Transport, Environment, Energy, Food and Drink and Health Care sectors. We would like to thank every member or non-member for their participation in our charity raffle for Save the Children. We would also like to thank Threeway Pressings for supplying the prize, as great local charity ambassadors within our membership group.